I am the current chair for Advancement Women Halton (AWH) and we were pleased to host a Halton Provincial Candidates session at our monthly meeting. 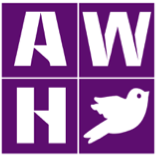 Thanks to all the candidates who participated and the members of AWH who came out. It was unfortunate the PC party was not represented at this session and they were invited. Get involved attend an all candidates session and vote wisely in the upcoming provincial election. Advancement of Women Halton hosted an all candidates meeting. Thanks to the 3 NDP and 3 Liberal candidates for showing up and engaging in a conversation on the issues. All 3 PC’s were no show. AWH members will be be sharing that lack of respect with the 20+ Halton organizations we represent. Wonderful afternoon with AWH as we heard from local Halton Liberal and NDP candidates. The PCs chose not to come. Our region is blessed with 3 Cabinet ministers. All 7 candidates were inspiring and inspired, both those currently serving and those who hope to be there. Interesting listening to the Cabinet ministers as they explain the real complexities of running a government. 4 Liberals and 3 NDP at Advancement of Women Halton debate. Maybe the PCs have nothing to say to women? AWH, our meeting with 3 Liberals and 3 NDP we invited Conservatives they did not come, sort of says something…..
As a coalition of community groups and agencies, we support each other in the work that we do.